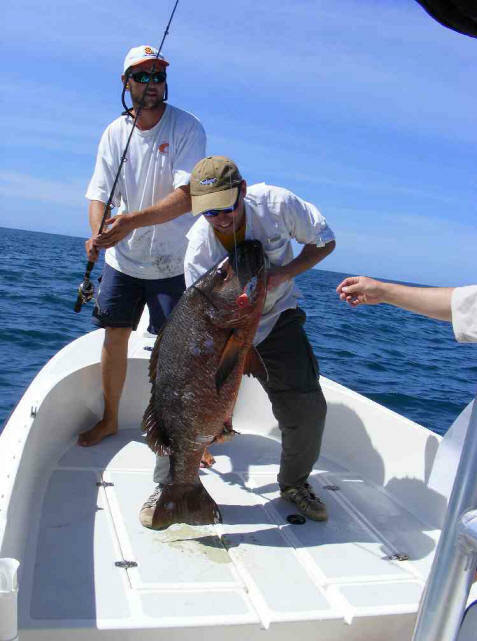 "I wanted to attach a photo of a 50lb cubera I caught on one of your 3 oz fathead lures in Panama for your website. 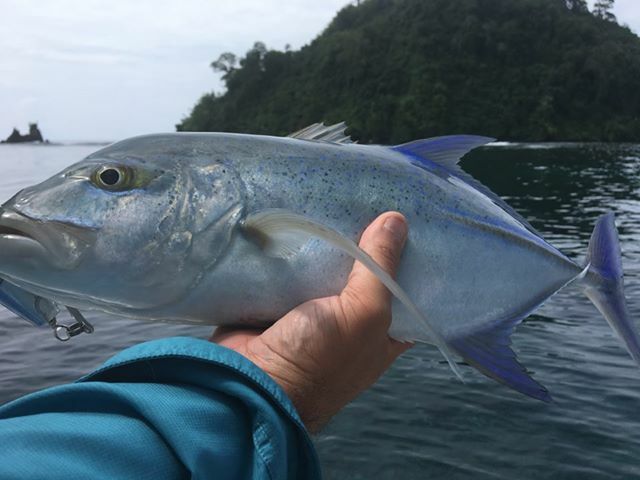 Your lures are awesome and worked better than the ##### poppers that the outfitter had." 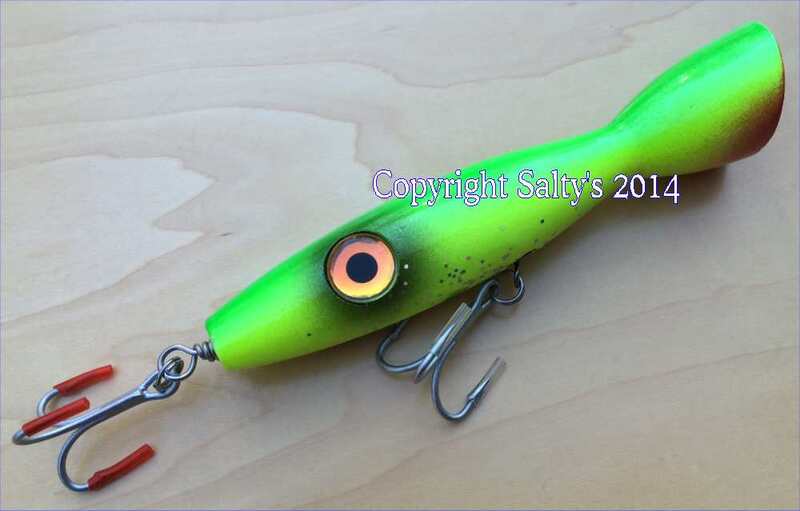 The 3 Oz Fathead is a red cedar popper. It's very buoyant. I weight this popper so it does the mambo. SAWEET action. It's one of my original lures. I will put this popper up against any fish in the world. 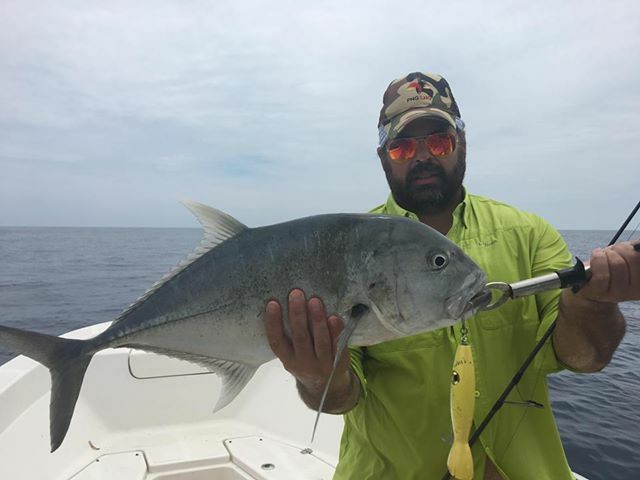 Whether it's our native striped bass or GATOR blues, or 200 lb tuna off our Cape Cod Shores, or worldwide with Giant Trevally, Cubera, Snook, Tarpon, Queenfish, YOU NAME IT. 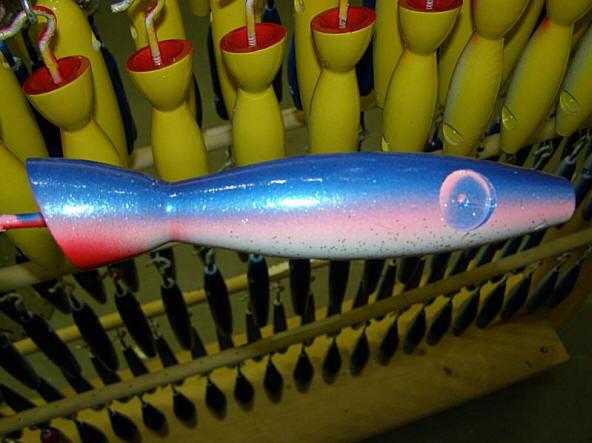 This popper will outcast any of the competition, and you will outfish everyone else on the beach. 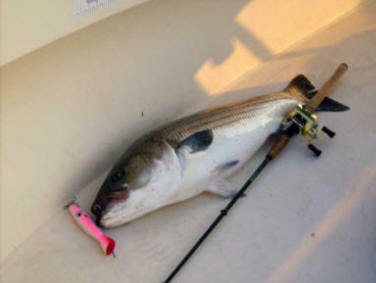 Use a loop knot on the nose of this lure, or a small breakaway clip. 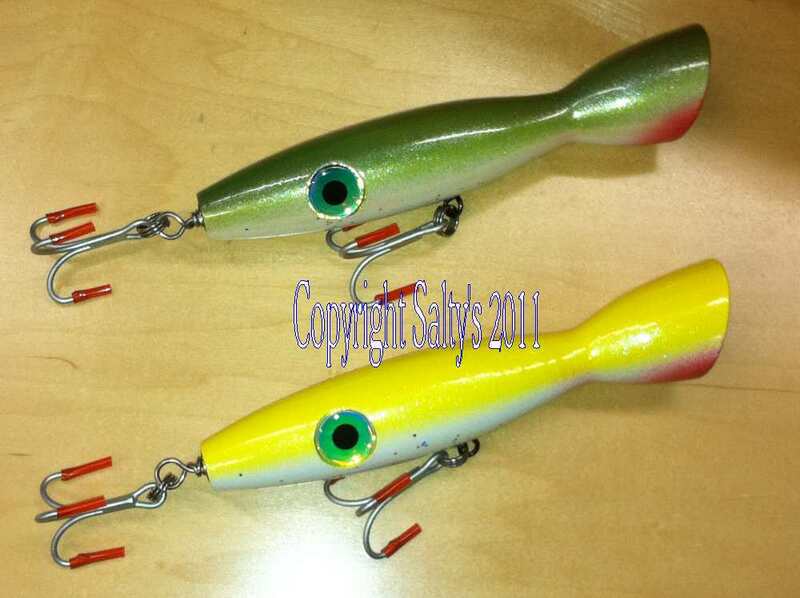 I like to rig these with 60 lb fluoro 4-5' to my running line. Salty's Fathead poppers have traveled the world! GONE. 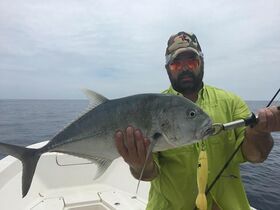 130 lb tuna WANTED that popper! 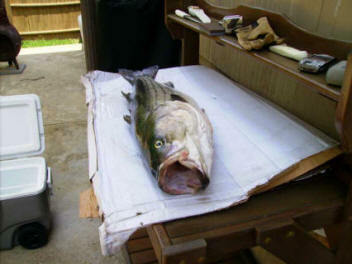 They actually found it in the fishes stomach! Pearl White is the best imitation of a normal squid. Yellow or Parrot at sunrise or cloudy days. Sunny days stick with a color that has a high definition color hue change on it....Blue/White or Olive/White. 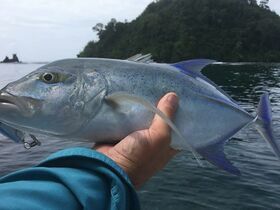 Spend some time looking at the bait prevalent in your area and you will soon understand why certain colors can give you just that little bit extra advantage to entice a larger fish to take your lure. Don't be afraid to use such colors as Blue/White, Olive/White or Yellow/White at night either!